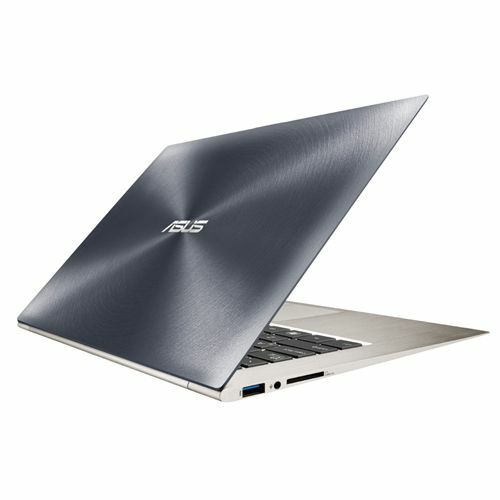 The Zenbook Touch UX31 LA looks similar to Asus’s earlier Zenbook iterations, with the same solid and stylish looking construction but now with a 13.3″ full HD touch display; the large trackpad and a reasonable amount of ports including 2x USB 3.0, micro HDMI, mini Displayport and full SD card slot are carried over from earlier models. Along with the new Haswell CPU one other notable update is the inclusion of a dual SSD raid storage configuration that goes up to 512GB. Overall the updates to the CPU, screen and storage work to make an excellent Ultrabook even better and bring the Zenbook Touch UX31 nicely in line with other Ultrabooks. Uhh, the Ivy Bridge Zenbook Prime UX31A is already at 50WHr. Now UX31A is 13-inch, the 11-incher UX21A is at 35WHr. Dual SSDs are definitely nice! I do hope you can use them without setting them up as a raid. Maybe a GT3 IRIS toting CPU is on offer too? That just might get me to buy one… an i5-4250 or i5-4350 at 15W TDP would suit me just fine! those SSD sockets, are they mSATA or m.2 ? outsourced however it appears lots of it’s popping it up all over the web without my permission. any specs on the processor and the iGPU?